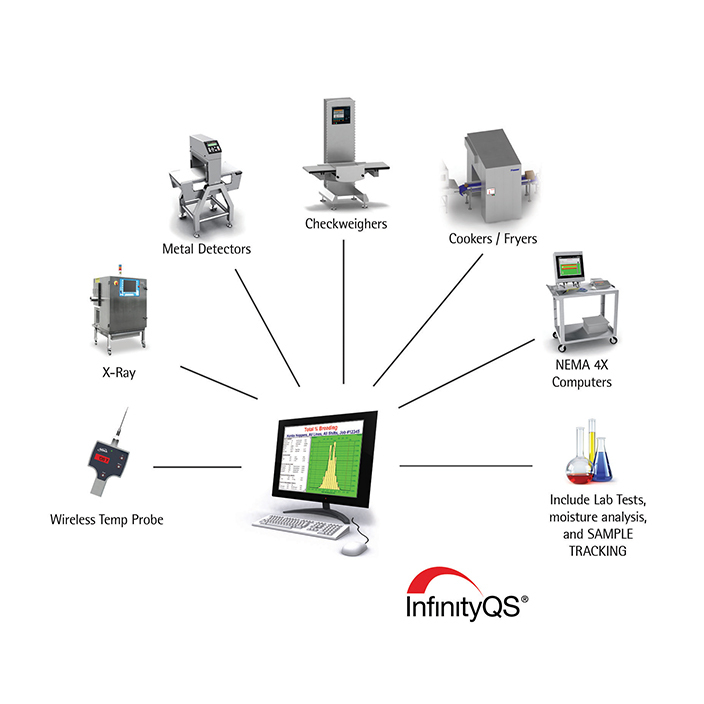 Our Encompass system will interface to any machine in your process, from any manufacturer. Cookers, Fryers, Ovens, depositors, freezers and more, they are all integral to your process. MANUFACTURERS USUALLY HAVE SOFTWARE THAT WILL MONITOR THEIR OWN EQUIPMENT- WE INTEGRATE ANY DEVICE IN OUR SYSTEM! GEA, Sartorius , Mettler- Safeline, Anritsu, Weigh-Tronix, Ishida and many more.